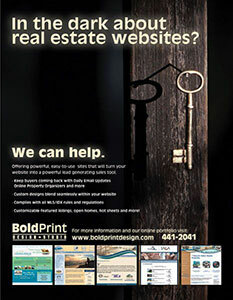 Home Tour asked us to come up with a full page ad for Bold Print Design Studio as a filler page in their magazine. Because we did their cover every month and helped with their website and other marketing they sometimes allowed us to include a filler ad in their magazine. 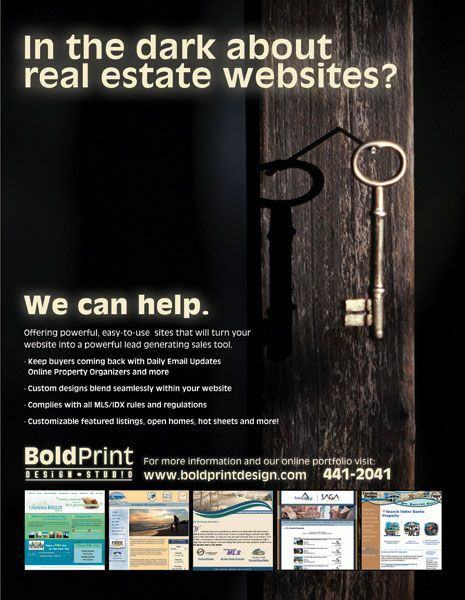 We used the opportunity to advertise our real estate websites to the local real estate market.